Age 62 is by far the most common age for people to start taking their Social Security retirement benefits. If you’re out of work, know you’re done working, and need the money to make ends meet, it can make a ton of sense to start collecting then, which is the earliest age you’re eligible to collect. Still, despite how common it is to collect then, there are three awful reasons to take Social Security at 62. Indeed, claiming then for the wrong reasons could very well backfire on you. Since you can start collecting as early as age 62, it might seem tempting to start doing so even if you’re still working and don’t need the money. After all, if you could collect, you could either boost your lifestyle or use the extra cash to further feather your nest for when you do ultimately retire. There are two issues with that line of thinking, however. First, the longer you wait between age 62 and age 70 to collect Social Security, the higher your benefit will be. There are very few investments that offer guaranteed returns at the 8% per year rate that waiting on Social Security would. 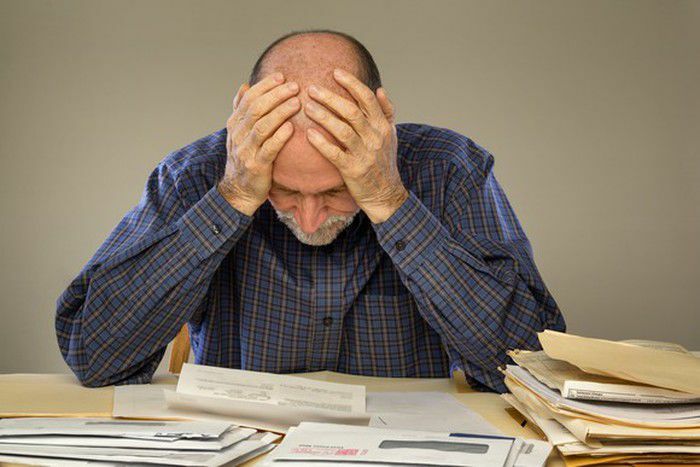 As a result, there’s a good financial case to be made that as long as you can make ends meet by some other means, holding off on Social Security can make sense. Second, if you’re still working, there’s a substantial penalty for taking Social Security before your full retirement age. In 2018, for people aged 62, that penalty is $1 for every $2 you earn from work above $17,040 within the year. As a result, if you’re still working, there’s a very good chance your Social Security benefit would be completely eliminated by that penalty. So not only would you lock yourself into a permanently lower benefit by claiming early, you could also possibly not even see that money. While it’s absolutely true that Social Security’s trust funds are on a path to run out of money by 2034, that doesn’t mean the whole program is going to collapse on that date. If nothing changes between now and then, the program’s trustees believe enough taxes will still be collected by the program to cover between 74% and 79% of expected benefits. That said, Social Security has had financial challenges in the past and was most notably patched in 1983. Chances are that sometime between now and 2034, Congress will pull itself together well enough to patch it again, changing who that shortfall affects and how it affects them. Making a decision to collect less now based on what may or may not happen to the program within the next 16 or so years seems a bit like punishing yourself today for what you might do next week. And even if Congress doesn’t patch the program, there’s a good chance that when Social Security’s trust funds do empty, they will continue to pay benefits based on what your benefit would have been. Or in other words, if you’re worried that your benefit will be cut by 25%, would you rather have 75% of the $1,000 a month you’d get by claiming now or 75% of the $1,500 per month you’d get by waiting? There’s a trade-off between the age at which you start collecting Social Security, the amount of your monthly check, and the total amount you receive over your lifetime. If you have good reason to believe that you won’t have a long and healthy life, it could make sense to collect as early as you can and get at least some benefit from the program. Still, that choice should depend on what you know about your own life expectancy — and, if you’re married, your spouse’s potential longevity too. Just because your parents and their parents may have died young doesn’t automatically mean you will too. If you’re generally healthy, exercise, eat well, and don’t smoke, you could potentially outlive your ancestors. Also, overall life expectancy is increasing as we make progress against illnesses and diseases. Remember that once you lock in your Social Security benefit by collecting, your future benefits are tied to that rate for the rest of your life, increasing only due to inflation or through any future work credits you earn. As you age, it frequently becomes increasingly tougher to work, making it tougher to supplement your Social Security income with a paycheck later in life. As a result, if you do outlive your family history, you may find yourself deeper in your golden years wishing you had waited to collect in order to have more in your pocket when you needed it. As you approach your retirement, remember that you can choose to start collecting Social Security at any time once you’ve hit age 62. While it may seem tempting to collect as soon as possible, if one of these three reasons is why you’re considering starting, you’ll probably want to reconsider. If that’s the case, waiting just a bit longer will very likely give you a better long-term outcome.